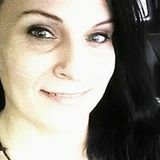 Want to connect with Lyndsy? Hello my name is Lyndsy. I am a Westbrook based housesitter who is caring. I hope you give me the opportunity to look after your house. I hope we have the chance to chat soon!